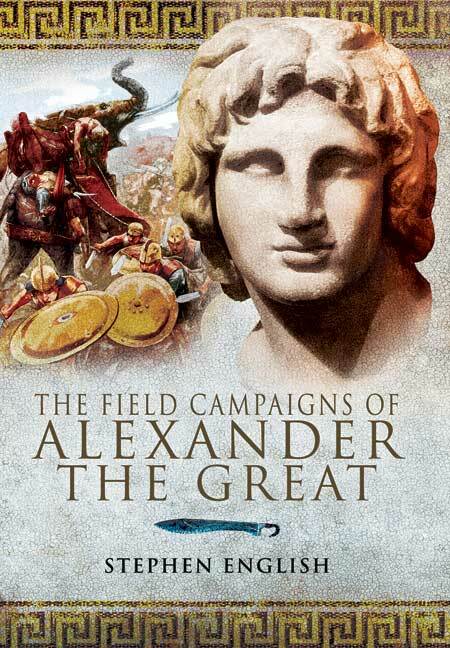 You'll be £19.99 closer to your next £10.00 credit when you purchase The Field Campaigns of Alexander the Great. What's this? Alexander the Great is one of the most famous men in history, and many believe he was the greatest military genius of all time (Julius Caesar wept at the feet of his statue in envy of his achievements). Most of his thirteen year reign as king of Macedon was spent in hard campaigning which conquered half the then-known world, during which he never lost a battle. Besides the famous set-piece battles (Granicus, Issus, Gaugamela, Hydaspes), Alexander's army marched thousands of miles through hostile territory, fighting countless smaller actions and calling for a titanic logistical effort. There is a copious literature on Alexander the Great, but most are biographies of the man himself, with relatively few recent works analysing his campaigns from a purely military angle. This book will combine a narrative of the course of each of Alexander's campaigns, with clear analysis of strategy, tactics, logistics etc. This will combine with Stephen English's The Army of Alexander the Great and The Sieges of Alexander the Great, to form a very strong three-volume examination of one of the most successful armies and greatest conquerors ever known. For the reader who wants to discover Alexander’s great battles this book will probably be too much of a book with a point to make to be a good introduction, but for those who already have some knowledge of the topic it could be an interesting read leading to others in order to make one’s own opinion on the value of Mr English’s views. English begins by explaining his methodology and examining the surviving sources. This is a very valuable section of the book, allowing the reader to judge the success of the rest of the text. The author's main aim is to produce coherent battle narratives that make sense of the often contradictory primary sources. I'm not entirely convinced by all of his conclusion, but in each case English explains his reasoning and includes the relevant primary sources, allowing the reader to come to his own conclusions. Having said hat, most of his suggested solutions make sense, and his arguments are well made. English clearly knows his material very well, giving his arguments and conclusions a great deal of credibility. This is an excellent conclusion to a very useful series, and helps to explain why Alexander was so successful against so many different opponents.